Our pets make our breakfast! Our laying hens are comprised mainly of Rhode Island Red, a true American breed, that have proven themselves as aggressive foragers and egg producers. 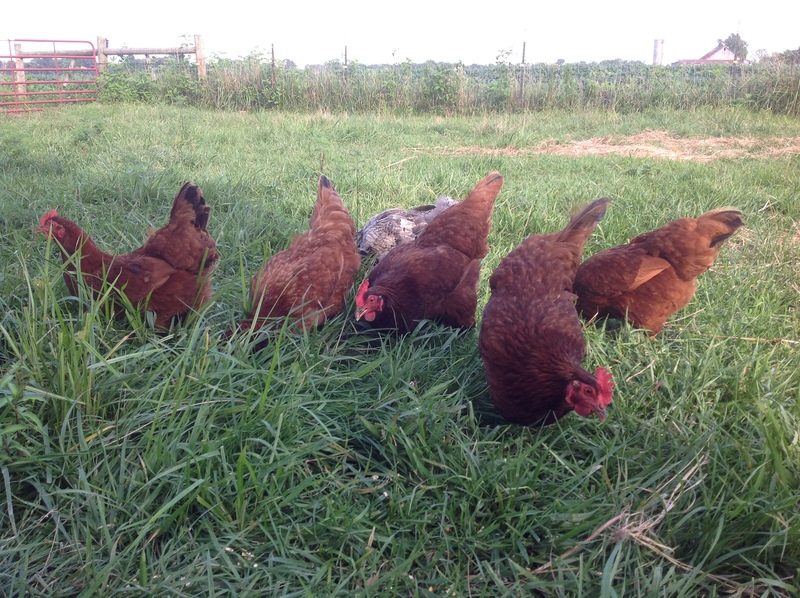 The hens enjoy leisurely days chasing bugs and snipping seed heads. The eggs are rich in flavor with a dark yellow yolk.